For a third year, Touchwood PR had the pleasure of working alongside the Academy of Canadian Cinema & Television on the 2016 Canadian Screen Awards. 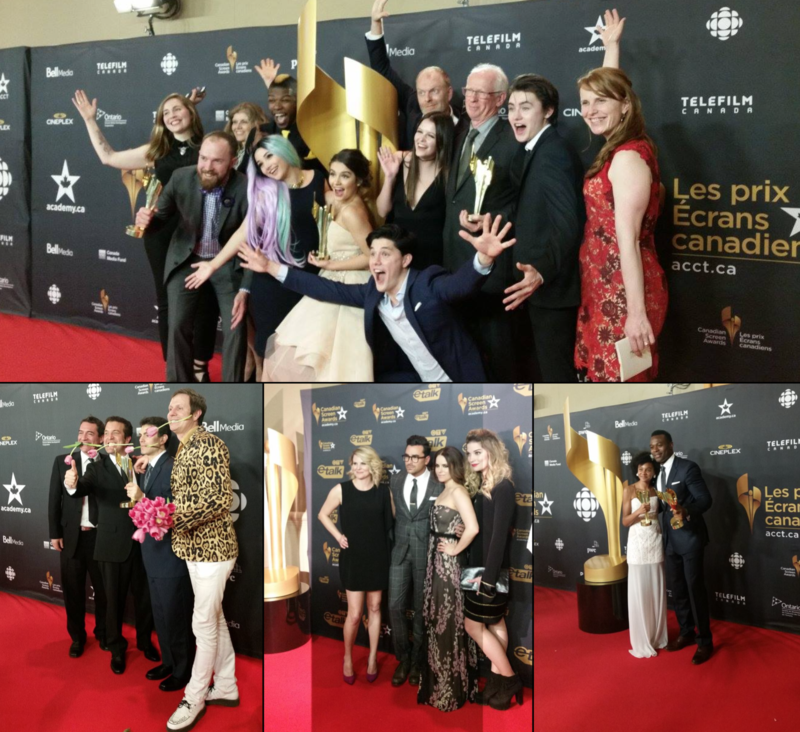 Part of a week-long celebration of Canadian film, television, and digital media, the event celebrates Canadian productions and talent who excel in front of the camera and behind-the-scenes. While Sunday’s culminating event at the Sony Centre for the Performing Arts featured exciting newcomers like Jacob Tremblay and esteemed veterans like Christopher Plummer, the entire week was filled with equal buzz as well-deserving Canadians received recognition for their creativity and ingenuity on and off screen. On Tuesday and Wednesday of Canadian Screen Week, the Academy held galas celebrating Docs, Lifestyle, News, Reality, and Sports Categories, as well as Children’s, Comedy, Drama, Performing Arts, and Variety Categories respectively. 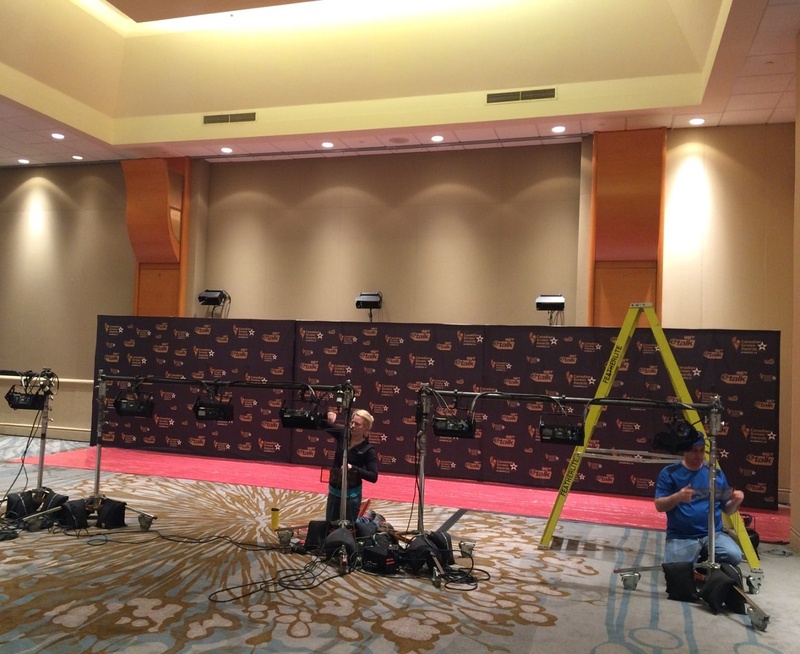 Here we have the step and repeat being assembled for Tuesday night’s gala! 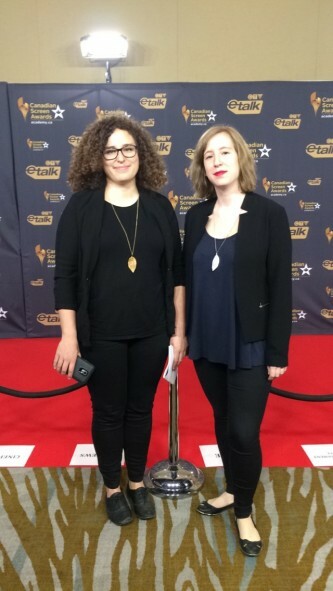 Anne-Lise and Jess unknowingly wore near-identical outfits (even down to jewelry)! 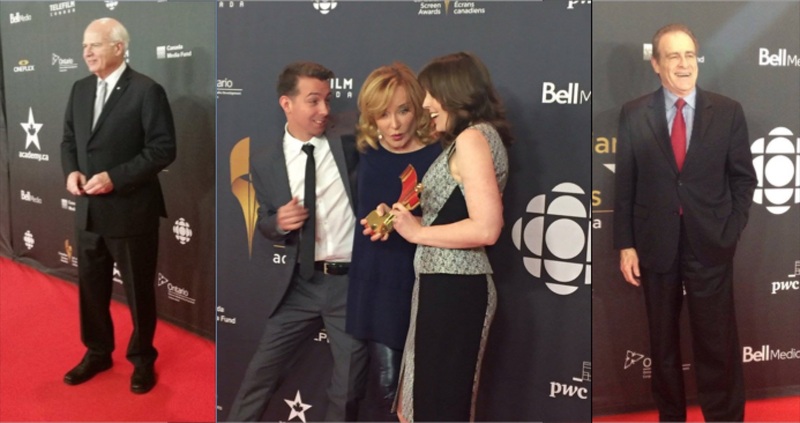 On Tuesday evening Peter Mansbridge presented the Gordon Sinclair Award for Broadcast Journalism to long-time CBC journalist, Mark Starowicz, the Marilyn Denis Show pick uped a couple of awards, and Toronto City Councilor Norm Kelly was in attendance to present several awards. 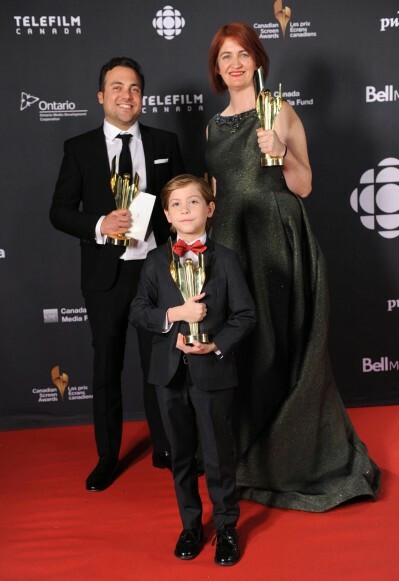 On Wednesday evening, CBC favorites like The Rick Mercer Report, Schitt’s Creek and Book of Negroes took home a number of awards, as did the always-popular Orphan Black and Degrassi. 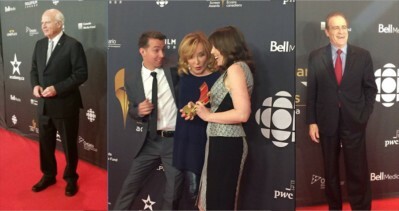 A couple coffees later, it was time for Sunday evening’s gala, hosted by Norm Macdonald, which would feature film categories like, Best Motion Picture, Best Performance by an Actor/Actress in a Leading Role, and Achievement in Direction, and television categories like, Best Comedy Series, Best Dramatic Series, and Best Performance by an Actor/Actress in a Leading Comedic/Dramatic Role. 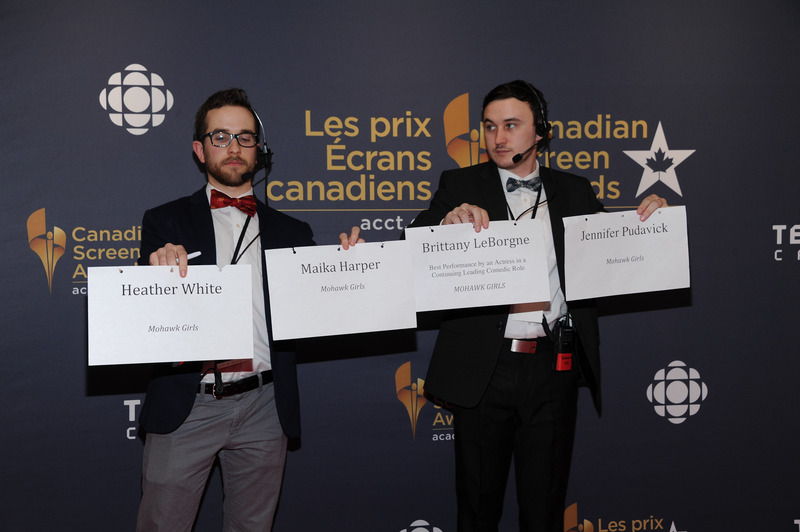 Despite all of the awards handed out earlier in the week, there was still plenty of hardware to be won! 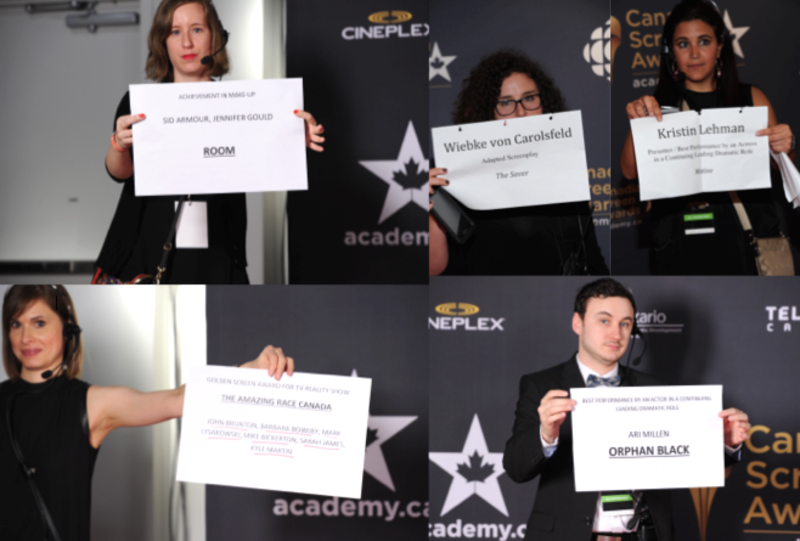 While media were undoubtedly on-site to capture photographs and sound bites with some of the stellar star power attending, they unknowingly managed to capture some real golden photographs of Team Touchwood at work. 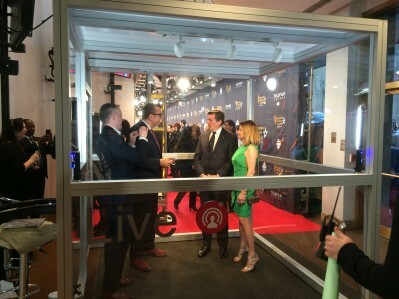 This year’s event was the first to feature Facebook’s Mentions Live Studio – a glass room positioned at the end of the red carpet. 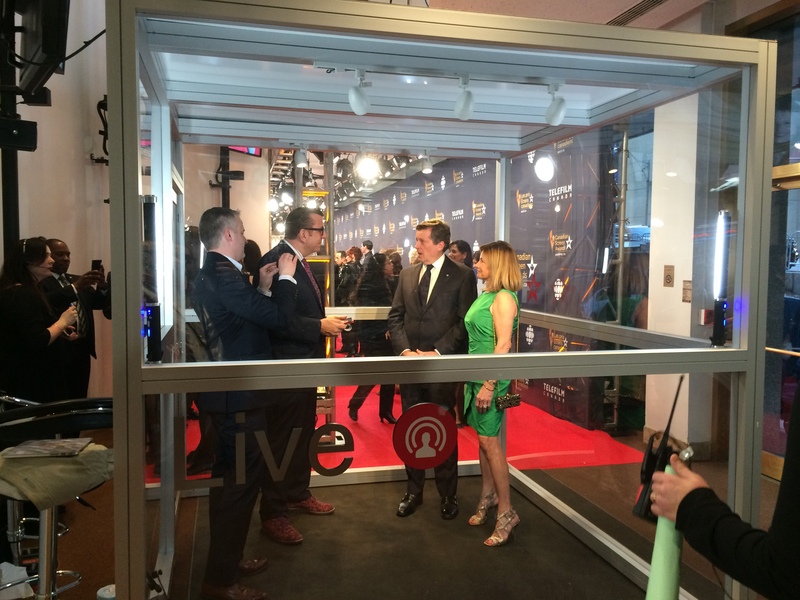 Hosted by Richard Crouse, guests walking the carpet would enter the room to answer rapid fire questions about the evening and some fun questions. 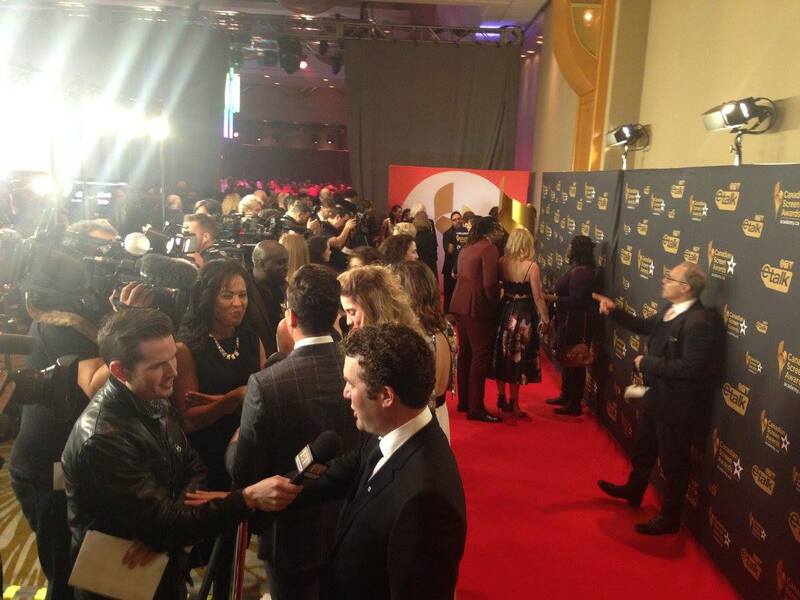 You can check them out here Canadian Screen Awards’ Facebook page. 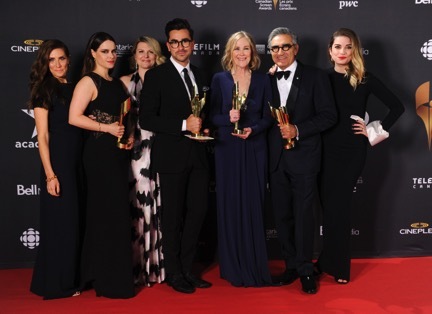 Big winners from the evening were Room in the film categories and Schitt’s Creek in the television. 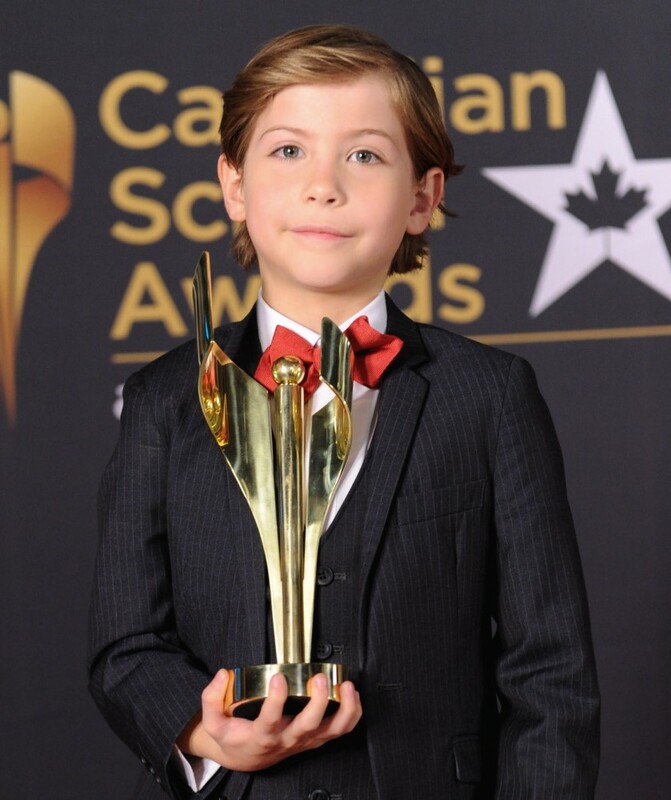 Room took home 9 Candys that evening, including Best Motion Picture, Performance by an Actor in a Leading Role for Jacob Tremblay’s performance, and Performance by an Actress in a Leading Role for Brie Larson’s performance, among a number of others. Schitt’s Creek’s won 3 Canadian Screen Awards that evening for Best Comedy Series, Best Performance by an Actor in a Continuing Leading Comedic Role for Eugene Levy’s performance, and Best Performance by an Actress in a Continuing Leading Comedic Role for Catherine O’Hara’s performance.